AWS GPU Instances- Interview With The CTO, The advent of AWS was revolutionary for businesses of all sizes; allowing a never before seen level of flexibility and accessibility of their work, applications and resources that would truly grant a workforce total mobility. Even prestigious organisations such as Netflix, which occupied a gargantuan 37% of total global internet traffic in 2015/16 host their infrastructure entirely on to the AWS cloud, proving the platform’s robustness and reputation for flexibility. Arguably one of the biggest advances this platform has made was its introduction of cloud based GPU instances, which allowed for virtual machines to be spun up with the power of high end graphics capabilities behind them, allowing the platform to break into another, hitherto untapped market of graphics designers, architects and other visual creators that require high end PCs. Umbee saw this as an opportunity to bring AWS into this new market, with our Citrix specialisations we would be able to create and offer businesses looking to move their IT infrastructure onto the cloud a solution that would allow them to do so without having to worry about the continually rising prices of GPUS (Thanks to the CryptoCraze, see our blog on our mining rig Here). We would be able to increase and decrease resources for the customer as they deemed necessary, maximising their control of cost and growth. GPU instances are available in two main forms, that which has access to a shared GPU, and that with dedicated resources. Naturally, the version which has access to dedicated resources is more powerful than the prior, however there is a significant difference in cost if one chooses to down the dedicated resource route. To get the best possible insight into this new offering we were preparing, I decided to take some time out of our CTO, Muneeb Ahmed’s day and interview him on the platform’s new functions. Now, Muneeb is a veritable genius when it comes to anything related to computers, cloud services and networking. The man is a treasure trove of knowledge, often prompting me to wonder if he himself isn’t connected to a cloud of some sort to store all of this information. Seriously, the man knows everything. One Tuesday afternoon he managed to find a couple of free minutes to answer some of the questions I had about AWS’s GPU instances. Having recently tested it, his mind was fresh with ideas of the possible applications, issues and capabilities of such a system. Cheerily optimistic as always; my initial question of course, was what the biggest issue we would face when implementing a Citrix based AWS GPU instance. Muneeb’s answer was that most companies would struggle most with establishing the necessary connections. Most engineers are not too familiar with the inner workings of Citrix or Citrix based networking and as such would struggle with this initial setup. It would require an engineer with a knowledge of both Citrix and conventional networking, quite a particular skillset. Fortunately, however, we are a specialist Citrix house. We have engineers with the required skillset at hand and as such managed to overcome this issue and have established a connection between our management layer and AWS. So, for us this was essentially a non-issue at this point. Having built an understanding of how the system was due to work, we could deploy this sort of infrastructure with relative ease now. Next, I directed my questioning to the performance of AWS GPU instances. Specifically, if the GPU affected the sound quality of instances, or just the graphics capabilities. Muneeb commented saying that a positive change was detectable in both sound and video quality. The power of the GPU offered a massive boost in rendering power for each instance, and of course we still had the capability of spinning up more powerful instances, with dedicated resources or a more expensive shared GPU attached. 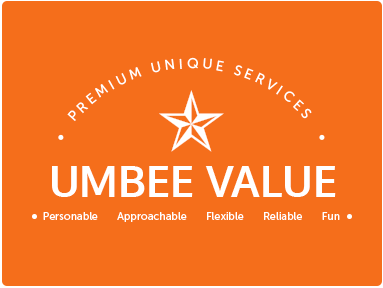 Having seen that this was a solution we would be able to present to the market, having the in house skills needed to provide reliable support and monitoring as well as a speedy setup, I was excited to see what the future held for Umbee’s AWS solutions. The interview with Muneeb doing little but wetting my appetite to see what this powerhouse of a platform held in store for us. I’ve heard word around the office that someone has been looking into benchmarking of sorts with AWS and Azure; Think I’ve picked up a new lead. Head over to Umbee’s social media pages to be one of the first to know when our next blog post is up!